Still remember the Yes! Nurse hand lotion that I got from The Love Jars? 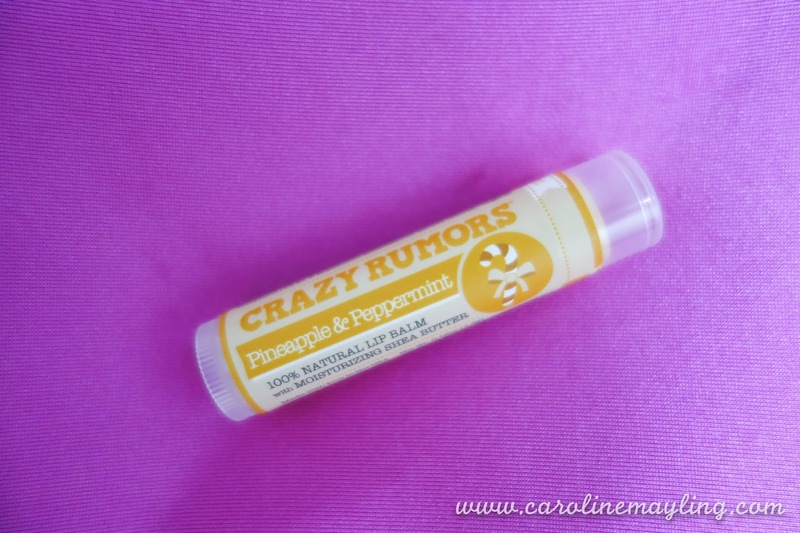 Here's another great product that you can get yourself from The Love Jars - Crazy Rumors Lip Balm. 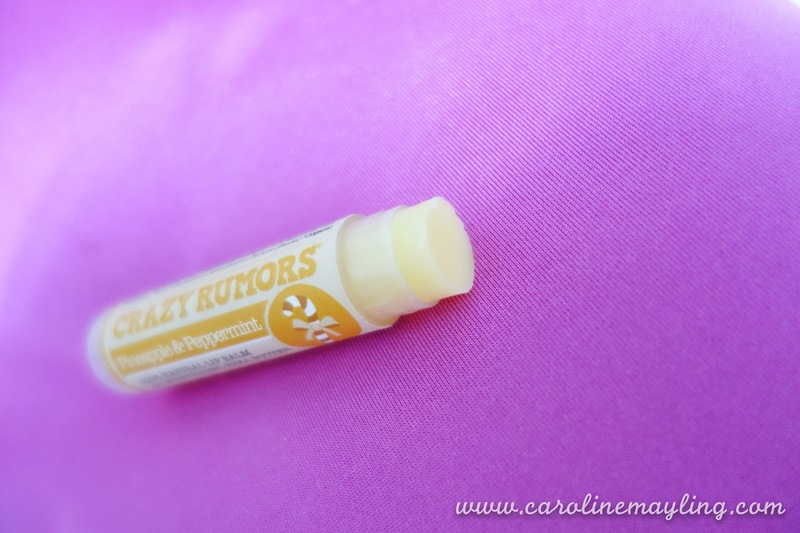 Crazy Rumors lip balm, originally from US, bring you all-natural and vegan, indulgently clean, out of this world flavored lip treats made with certified ingredients. 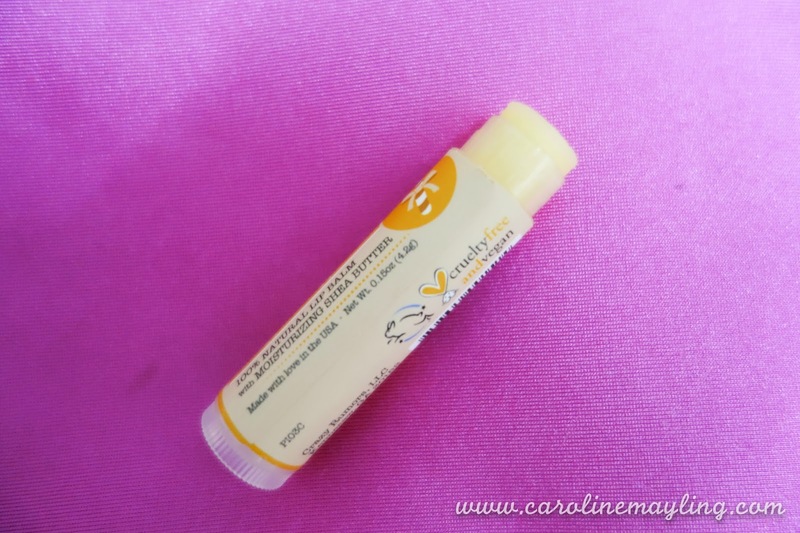 It is 100% natural lip balm with moisturizing Shea butter that going to keep your lips moist after applied it. I have been using it for the past two weeks and quite in love with it. I love the sweet tropical flavor of pineapple and how the peppermint gives me the delectable tingling sensation on my lips. 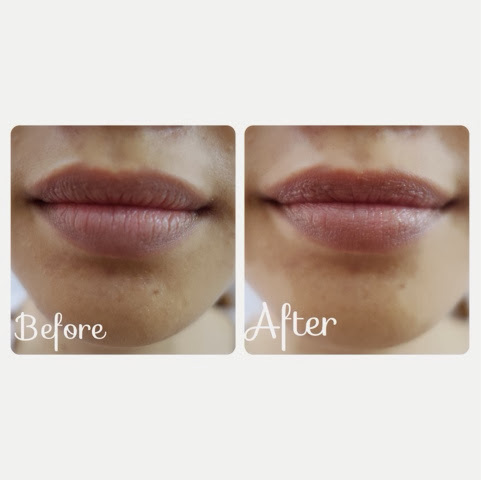 Of course, it does what it claims, moisturize my lips and it leaves a velvety smooth texture on my lips too! I am quite tempted to get myself with some other flavors too!